owned health insurer, providing health cover for IKA and OAEE since March 2012.
specialist free of charge, and IKA prescriptions may be issued by them. medical booklet. You will also need to take along the documents listed below *. 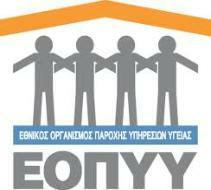 be eligible for Greek state health insurance cover. (See changed rules from 2014 NHS http://www.nhs. entitlement to health insurance for all for its citizens. service of your home country. Check at your local IKA office on arrival in Greece for updates. of the following year and should be renewed /validated yearly at an IKA office or KEP office. dependant members of their families are required to obtain one. have until now all issued their own AM numbers. AMKA will unify the National Insurance numbers. 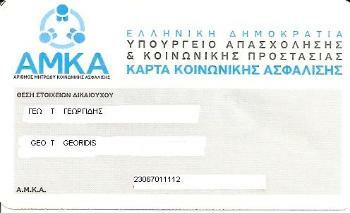 filling in the form at www.amka.gr (in Greek only). separate AMKA number for any children and other dependants. 1)Passport or Greek (or corresponding) ID card. your father and mother's names. Showing a tax return, for example, with this information should suffice. 3)For dependent children - a copy of the πιστοποιητικού οικογενειακής κατάστασης or birth certificate. thing is that you have a record of your number. regards to IKA as this is the most common. record or your stamps and you can ask for a print-out copy at any time. medical care and reduced price prescriptions. book for the following year. payments, photographs and your passport or Greek ID card. Don't fit in any of the above categories? 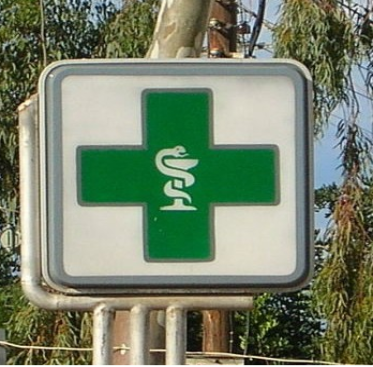 private medical insurance for health cover in Greece. for short term medical insurance, as well as yearly policies, with various companies.